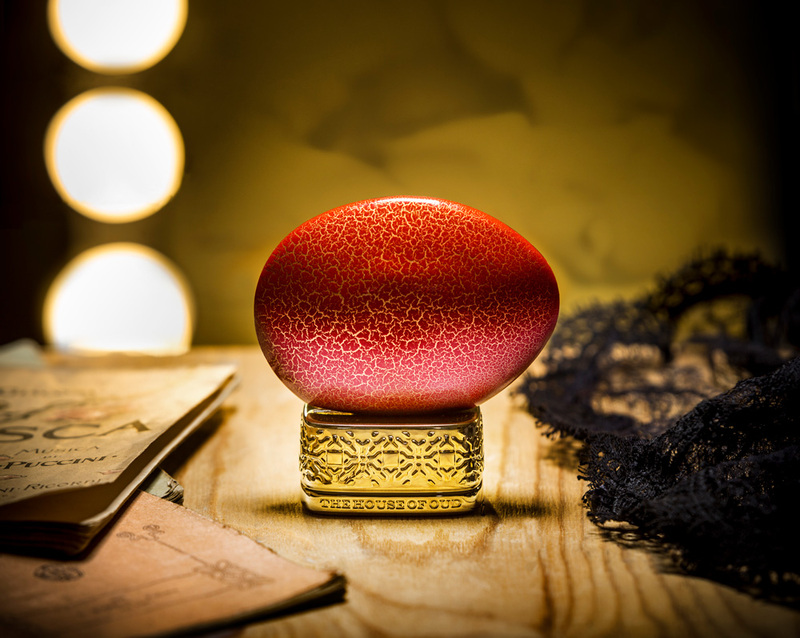 ROCK ‘n’ ROUGE – The stage is set for irresistibility. he subtle seduction occupies the centre of the stage, with an exchange of looks between the prima ballerina and a member of the audience sitting in the stalls. Far away, each extraneous to the other, they are nevertheless intimately close to the eye, penetrating the dense mesh of lace she wears. The curtain goes up on a fragrance that speaks about sensuality and rapture. The interlude is that of a love potion that inebriates on first hearing it. It reawakens our instincts, confuses our senses and embraces like a sigh. As soon as the lights go up, it blinds us with its charisma and seduction blossoms. ROCK’N’ROUGE is a game of looks exchanged between a ballerina and a member of the audience. Temptation pierces through the gloom in the theatre and Eros shoots his keenest arrow. Desire cuts across the stage and rolls like a thousand fiery marbles out towards the theatre stalls. There, in the glare of the first change in the lights, the star’s eyes set fire to those of the man who observes. And, as though by magic, all the rest of the audience disappears. He and she are the only ones who remain, without knowing each other, without ever touching. United by seduction, they are unconscious protagonists of a feline pas de deux, charged with electricity. The bottle is a take on the lace used for the ballerina’s stage costume. Using the technique of decoration familiar from the Desert Collection – craquelure – THE HOUSE OF OUD quotes its own work to coax the eye to approach the ballerina’s body, bringing it ever closer until it enters the now-you-see-it-now-you-don’t effect of mesh.